I am met with Michael’s death in an uncomfortable example of juxtaposition. Only the day before, I was in audience of Taylor Swift, awed at an emerging pop icon. Now only hours ago, I was lounging in a chair when I learned of the news. Alison broke it to me, but I was skeptical. Amanda assured me somewhat when I asked if she could check the news; she said he was hospitalized, and I figured he was just exhausted from rehearsing for his London shows in the coming month. I couldn’t convince myself though. Occupied by my calculus assignment, yet growing more uncomfortable by the minute, I found the nearest computer to check the news. One source, TMZ, seemed to be the only one confirming his death. I took hold onto that hope. Maybe this one source was wrong. The earliest memory I have of Michael is with my dad and sister in the car. Somehow his name came up, and my dad made a derogatory joke about Michael. I didn’t say anything — maybe laughing nervously in faux agreement — and that wrestled my conscious. It was probably the first time I had heard something grotesque from my dad, and I pondered about what drove him — anyone else even — to say something like that. I was told that he was weird. I had heard that he looked like a woman. I could not understand how people could harbor disdain. It was early September when I was supposed to be in bed. The volume was just above inaudible. After some channel flipping, I tuned into Michael Jackson’s anniversary celebration at Madison Square Garden. 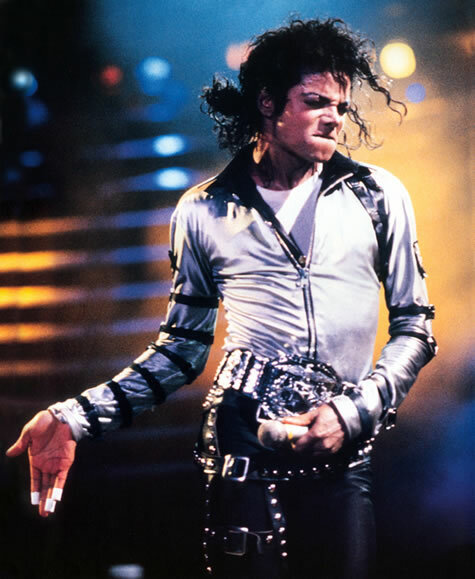 He was performing with his brothers, and before this show, I had no interest in Michael. I only recalled what I felt when my dad said what he said. It was late, and I didn’t want to sleep. I thought I’d investigate and make my own judgment on this man. As a fan, you might write off my opinion. In my perspective, it’s rather clear: Michael was certainly eccentric, but that has never been enough reason or impetus for me to judge or discriminate. It’s uncomfortable thinking that many of us feel it is ok to poke fun or invest in insults because someone is especially odd. What standard or scale are you using? Where do you cut off who is “cool”, “normal”, and “weird”? That September night I remember Billie Jean. I remember seeing Michael float in front of thousands, adding more mystery to mysterious lyrics. It was incredible. The next day, in first hour gym, I was in front of my locker vainly trying to mimic his movements. Michael could dance, and we all loved it, which was confusing. How could extreme love and hate exist toward him? Michael quickly became my middle school idol. It’s not something I’m particularly proud of, in the sense that I had placed an idol before God. It is something to be proud of, in that it, in some sense, guided me along my faith journey. Michael, in the Hebrew, means “who is like God”. I’ve never known whether “who is like God” is meant in the interrogative or affirmative case. Nonetheless, Michael was my god in middle school. My idolatry, though I am not proud of it, is a testament to the depth of his influence. Death, in my experience so far, has been something that never affects me at the onset. The initial days tune me into an analytical trance. It takes time for me to digest who has left. It’s been the same way with Michael. There’s no Michael-sized hole in my heart, but I definitely feel and mourn for a similar sensation. I came home from my night class and turned on the news to see a crowd of pedestrians and fans crowding into the Apollo. I would have been there. I can’t believe he’s gone. I wanted to see him grace the stage for us one more time; not only for us, but for him too. He comes alive onstage. You can see the cogs click together, a clear indication that he is in his element in front of an audience. We’ll never know. We’ll never know who Dirty Diana was, whether Ross, a groupie, or neither; whether Michael fathered to children from a relationship with Billie Jean; the truth behind his skin discoloration ((I maintain that he suffered from vitiligo. My best friend suffers from a small case of the disease.)) and surgeries, of which he claims are no more than, I believe, three; what the shows in London would have been like, and the magic and shock that would have precipitated. Perhaps most terrible of all, we will never have the chance to reconcile with the man that the media adored to scorn. Michael Jackson is a real example of a childhood lesson some of us fail to apply; some might not even know what lesson would apply, and that’s a shame. I could write so much more, but I am drained. I might sum up the rest of what I wish to share in this: Though forever chained to what tabloids had to chide, let us more quickly remember Michael for his sensitive and careful nature, his musical genius and extraordinary show. In the period between his 30th Anniversary performance and up until his death, Michael never, to my cursory knowledge, performed live. When he did appear live, it was often to receive or present an award. There was one common element in those appearances: Sometimes someone in the crowd, sometimes a chorus, would scream, “Michael, I love you!” Michael, laughing and smiling kindly, although seeming trite and involuntary, yet substantial and meaningful, would recite back: I love you more. We love you more, Michael. I only hope to meet you someday, and if I do meet you there, I hope that lights will guide you home to an eternal comfort from a world where so many wished you none. Much love to you. Final Note: It’s a promiscuous thought to entertain, whether Michael brought this death upon himself. The London shows, to me, seemed like a burden (there were 50 lined up over the next year). Perhaps Michael was trying to get out. I’m disgusted to think that, and I hope that it’s not true. I love watching videos from TED. It’d be such a gift to be in attendance at one of the conferences. Even greater would be the opportunity to speak there. Yet, those are dreams. In my circumstance, I bask in the entertaining lectures through the website. What TED is, is a conference for thinkers to share their ideas. I love the line from V for Vendetta: Behind this mask, Mr. So-and-so, is an idea; and ideas are bulletproof. Truth. One of the recent lectures I watched was given by an economist, Dan Ariely, from MIT, I think. I’d like to recreate something he shared with TED. You decide to purchase a subscription to a magazine. Of these choices, which would you choose? Now suppose the choices were slightly altered. What would you choose now? His idea is fascinating, and I would love to expound further on it; but I don’t think I have the facilities to do so. I don’t know where I’d go, so I’ll leave this gem in my mind at the level of engagement. Victor Hugo said “that music expresses that which cannot be said and on which it is impossible to be silent.” What an incredible thought! I do certainly believe that music allows us to tap into another facet of explanation and expression. It’s another way to teach, and another way we can learn. Believing this, I knew there had to be some deeper and innate mystery; I think part of that mystery is the intimate relation between music and lyrics. It’s very simple, I think. A song has music and lyrics, but a good song has music that is for specific lyrics. How can we identify good songs? It’s a radical move — outrageous, maybe even absurd — to bring a standard into what has always been a subjectively and opinion driven art. That is why I don’t think it’s necessary to identify what a good song is. I imagine it’s challenging enough just to try and write a song. A good song will be different for everyone. A good song will have music that partners with the lyrics to deliver something that only music can deliver. That will be different for everyone. You know that bigger guy that was covering me? Every time he was guarding me, he elbowed me. Really? Wow. I believe you, man. This is a very silly post. I thought I’d share it anyway. It was probably 3/4 of the way into my second semester of college that I started to think that I could possibly be a philosopher-king. This is, of course, an absurd idea, if only for the reason that I have no desire to govern a group of persons. This doesn’t take into account the qualifications for a philosopher-king either, of which I certainly would not qualify for or pass. The philosopher-king (or queen) is found in The Republic of Plato. These philosopher-kings are meticulously trained in arts that include mathematics and dialectic amongst others. They are gentle, yet spirited, and are an imposing sculpture of human flesh. Perhaps the most important quality is their focus on the Idea of the Good. It brings them upward, and out of Plato’s Cave. Above all of this, they have no desire to lead or rule. They must, Plato asserts, be forced to rule. I have no desire to rule. You would have to force me. Therefore, I am the philosopher-king.